Esophageal neck pain describes symptoms that occur in the frontal neck region, also called the throat, and are expressed in the esophagus. The esophagus is the muscular tube that connects the throat to the stomach. It is through this passageway that food travels and it is also in this passageway that many problematic health issues can strike. 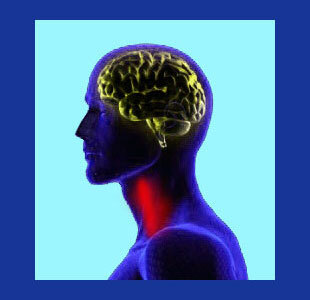 Any esophageal disorder can not be considered a classic example of neck pain, per se. Instead, these conditions are virtually always classified as digestive disorders and are therefore diagnosed and treated by gastroenterologists. However, since the symptoms can extend into the neck region, we decided to cover them in order to educate patients on nonspinal conditions that might also explain their regional symptomology. In this essay, we will discuss various manifestations of esophageal neck symptoms, including the causes and treatment options that are available to relieve the burden of chronic suffering in the throat, neck, upper chest and stomach. The esophagus is a muscular tube that connects the mouth to the digestive organs. All the food we eat traverses this pathway in order to begin the digestive process. The esophagus is an active component of our digestive system, moving food along using muscular movements and keeping it in the stomach by sealing off the lower esophageal sphincter. Many conditions might cause pain, burning, spasms or other expressions to occur in the esophagus. Other common symptoms of esophageal and digestive disorders include nausea, reflux, vomiting and a globus feeling, often described as a perceived lump in the throat. The esophagus traverses the frontal neck, into the chest and then connects to the stomach in the abdominal region. Symptoms might present themselves anywhere along this anatomical pathway and often exist in several locations simultaneously. GERD, or gastric esophageal reflux disease, denotes a chronic occurrence of acid reflux into the esophagus from the stomach. Heartburn, also known as indigestion or dyspepsia, is a multi-symptomatic condition related to many possible sources processes. Patients usually experience burning, gas, bloating, feelings of gnawing in the digestive tract and premature fullness when eating. Peptic and esophageal ulcers can cause pain and many related expressions in the abdomen, upper chest and throat. Esophageal varices might go unnoticed, but can become extreme health threats if they bleed profusely. Cancer can cause a diversity of neck pain symptoms, including esophageal pain, even when the neoplastic process is not located directly in the esophagus. Many digestive organ cancers can create symptoms in the upper chest and throat regions. Benign mass formations can mimic cancer in their expression, but luckily are not malignant conditions and will therefore generally respond better to targeted treatment. Muscular disorders can cause problems with esophageal contractions or sphincter closure. Muscular disorders may be caused directly or may be the result of related neurological changes. Achalasia is a rare condition wherein the lower esophageal sphincter malfunctions chronically, not allowing food to enter the stomach when swallowed. Mindbody syndromes can cause muscular problems and central nervous system concerns that might affect the functionality of the entire digestive tract. It is well known that there is often a psychoemotional cause or contributor to the existence of digestive problems, including various manifestations in the throat. Esophagitis and gastritis are categories of conditions that are characterized by nonspecific inflammation of the esophagus or stomach lining. 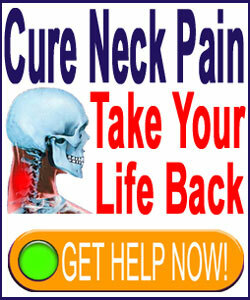 Both can cause painful symptoms in the frontal neck and throat region. Gall bladder, pancreas and intestinal concerns can all cause a cascade effect of symptoms that might affect the esophagus in many patients. Esophageal stricture is defined as a structural narrowing of the esophageal tube, causing a constricted feeling and other possible painful and disruptive symptoms. Above is only a partial list of disorders that can lead to esophageal pain in the frontal neck. Unfortunately, many conditions overlap in cause and are related to one another. This can make proper diagnosis difficult, since cause and effect may be confused in many patients. Often a singular problem starts a chain reaction of digestive symptoms that may each be treated separately, instead of the primary origin being located and resolved, thereby curing all the subsequent and related expressions. Successfully curing digestive disorders is never easy and can become a virtually impossible quest for some patients, especially those who demonstrate mindbody causations, yet continue to pursue structurally-based medical care. Most doctors will utilize a range of tests to evaluate esophageal neck pain, including barium swallows, pH testing, gastroscopy, biopsies, ct scan and h Pylori breath testing. To learn more about esophageal pain syndromes, we recommend seeing a specialist in gastroenterology and fully describing your specific symptoms in the most detailed manner possible. Slight discrepancies between symptoms can denote completely different causative processes. To narrow the search and minimize the financial burden and discomfort of unnecessary diagnostic testing, be sure to document all symptoms as accurately as possible for your doctor. This step will go a long ways towards ascertaining the true cause of your current discomfort.